Over the last thirty years, the Federalist Society for Law and Public Policy Studies has grown from a small group of disaffected conservative law students into an organization with extraordinary influence over American law and politics. Although the organization is unknown to the average citizen, this group of intellectuals has managed to monopolize the selection of federal judges, take over the Department of Justice, and control legal policy in the White House. Today the Society claims that 45,000 conservative lawyers and law students are involved in its activities. Four Supreme Court Justices--Antonin Scalia, Clarence Thomas, John Roberts, and Samuel Alito--are current or former members. Every single federal judge appointed in the two Bush presidencies was either a Society member or approved by members. During the Bush years, young Federalist Society lawyers dominated the legal staffs of the Justice Department and other important government agencies. The Society has lawyer chapters in every major city in the United States and student chapters in every accredited law school. Its membership includes economic conservatives, social conservatives, Christian conservatives, and libertarians, who differ with each other on significant issues, but who cooperate in advancing a broad conservative agenda. How did this happen? How did this group of conservatives succeed in moving their theories into the mainstream of legal thought? Michael Avery, Professor of Law at Suffolk University Law School where he teaches constitutional law and evidence, is a former president of the National Lawyers Guild. From 1970 to 1998, he was in private practice, specializing in plaintiffs' civil rights litigation and criminal defense. Danielle McLaughlin, currently an Associate in the Boston office of Nixon Peabody LLP, clerked for the Honorable William Young in the Federal District Court for the District of Massachusetts and served as editor-in-chief of the Journal of High Technology Law at Suffolk University Law School. "Avery and McLaughlin have written an important, highly informative book about the role of the Federalist Society in shaping jurisprudence and public policy over the last 30 years. [...] Recommended." "...it's possible, given the volume of information in this book, to reconstruct a thesis about why the Federalist Society was so effective in changing the legal debate in America. [...] With striking clairvoyance, it outlined an incrementalist strategy for narrowing the right to reproductive choice and predicted, accurately, that the expansive jurisprudence of personal autonomy, recognized in cases like Roe v. Wade, might eventually lead to the judicial recognition of gay marriage." 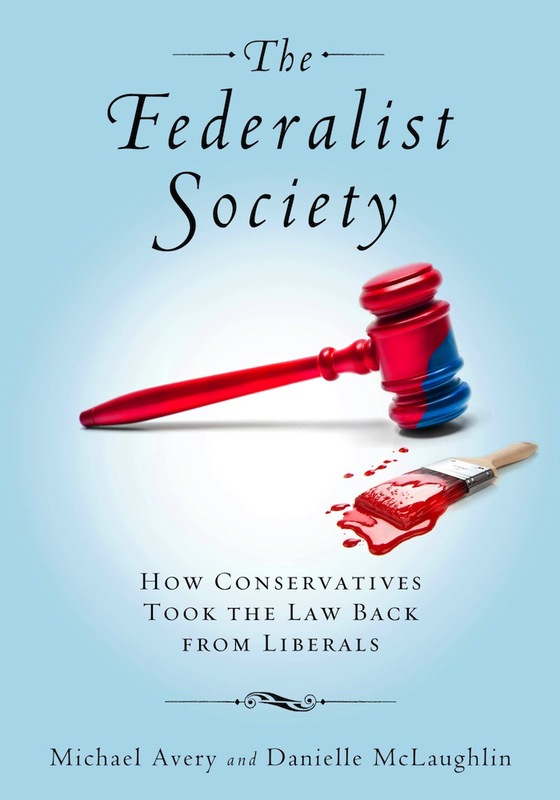 "Much of what The Federalist Society covers will be familiar to readers who closely follow law or politics, but even those readers will find value in its straightforward mix of history, case studies, and legal arguments. For others, it serves as an introduction to a long-term story that has slowly and quietly--but dramatically--changed the American legal system." "Fascinating, well-written and hard-hitting piece of writing underscoring the importance of the federal judiciary in our democracy. The politicization of the courts is a topic more relevant than ever in these partisan times, and Avery and McLaughlin's concise, incisive style does it justice." "Michael Avery and Danielle McLaughlin have written a compelling book about how the Federalist Society came to prominence, its tremendous influence in Republican presidential administrations especially in the selection of judges, and its conservative ideology on major issues of constitutional law. It is a story of how ideas, money, and careful planning came together to change the legal landscape. This well-written book is a must read for all who want to understand the conservative movement in law, its views and those advancing them." "A compelling intellectual history of the rise of the powerful Federalist Society, this is a thoughtful recounting of all the ways in which the group has impacted and influenced legal doctrine, and a roadmap of what's to come should their ascendancy continue. Anyone who cares about the courts or the law will find The Federalist Society a stark reminder of the power of abstract ideas to effect real and lasting change for decades."